Okay so I took a few photos earlier, but for some reason they came out horrible... I picked a few Christmas shades that I'm loving at the moment but I found this Yves Saint Laurent Rouge Volupté Perle in #114* in my draw. I reviewed this last year but I wanted to include it as my "favourite day lipstick" - I don't think I feature enough of my all time favourite products, so I wanted to start with the lipsticks. I'll be doing the xmas shades later on in the week. Now, if you haven't treated yourself to a YSL lipstick before, (I say treat because for me, £24.50 is slightly on the pricey side) I really think they are worth it. 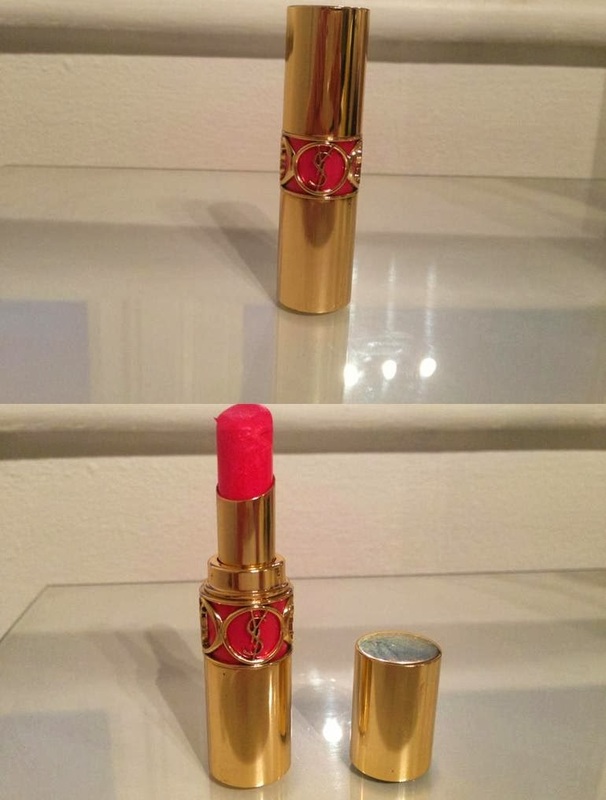 Lets start with the packaging, I can honestly say I have not seen a lipstick that looks as nice as YSL. 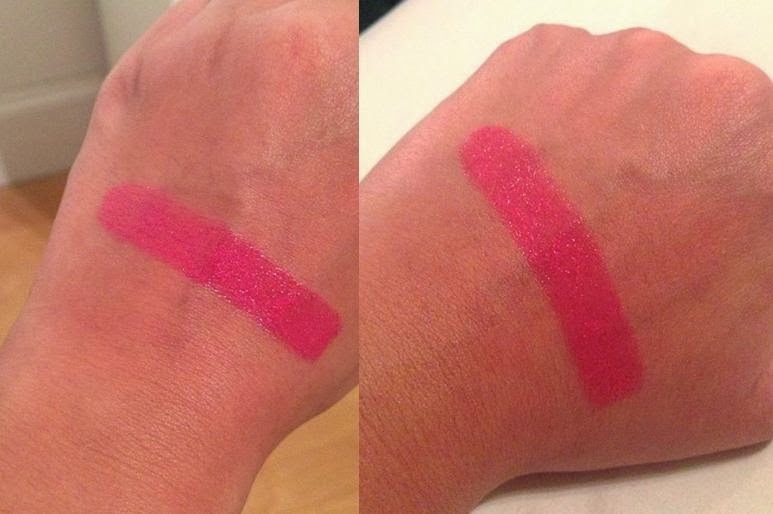 They have perfected their packaging down to a T. The actual formula of the lipstick is quite unique, I tried this shade on my sister (she is pretty much a lipstick virgin) and she noticed the difference in texture straight away, compared to the regular Rimmel or MAC lipsticks she wears. This shade is great, very nice for the day!